The Pencil Grip, Inc. sent us two items to try out: the Ultra Safe Safety Scissors and the 3 Step Pencil Grip Training System. I have a seven-year-old daughter who was very excited to use the pencil grips and a three-year-old who wants to cut, but I have been too afraid to give him scissors. These products came at the right time so that I could give him a chance. These Ultra Safe Safety Scissors are great for Miles and the first time I gave him scissors. There is no way he can hurt himself but the blades aren't dull so he can be successful with cutting. 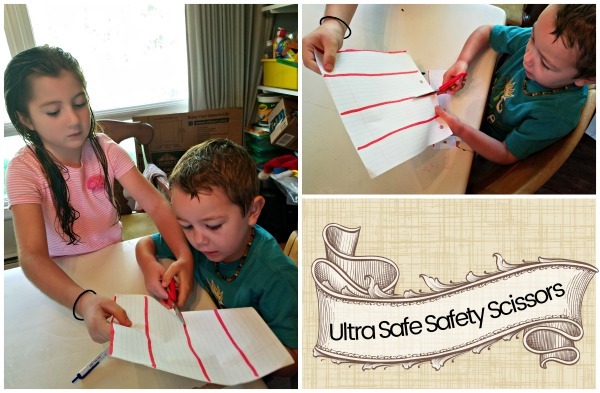 Sometimes "safety" scissors are a joke and frustrate little ones, but these are great! I would still keep them up because they would still cut hair off, but I can relax a bit with him sitting next to me working on a craft. 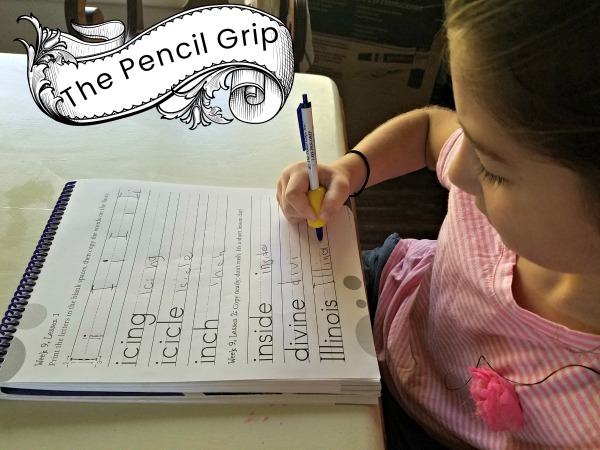 The pencil grip system has three different grips to help kids with their pencil grip. The three stages are The Crossover Grip for training, The Pinch Grip for transitioning, and The Pencil Grip for Graduation! Kaelyn already had a decent pencil grip so I had her use the pencil grip. Miles, who hasn't really used pencils or pens yet was given the crossover grip. He is only three and it was a little hard from him, but once I got his fingers in the right position, they stayed as he used the pen! Kaelyn has been enjoying using this pencil grip and I have noticed an improvement in her handwriting since using the grip. Perhaps she didn't have a bad grip before, but this i s helping her be more successful as she is still young and her muscles need a little help. For more reviews, please click on the graphic below.